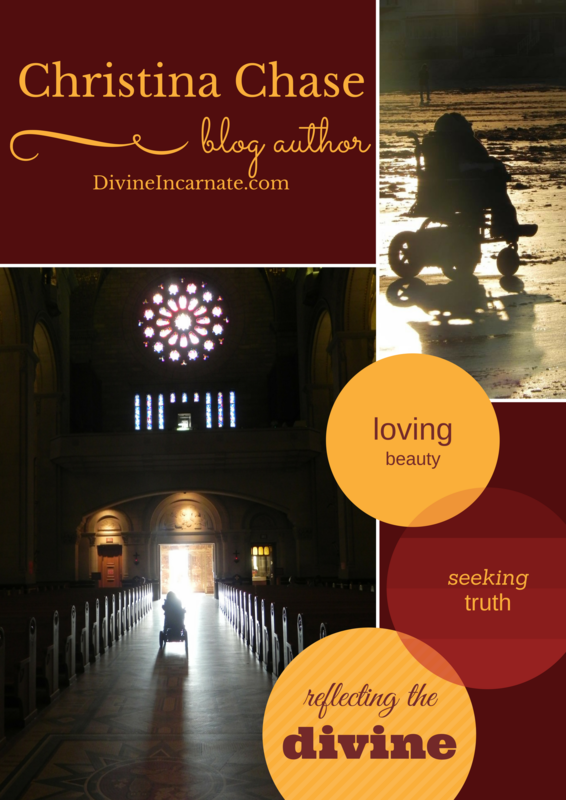 Vocation Awareness and Paradoxical Commandments – Divine. Incarnate. Believe it or not, God—you know, the Creator of the universe—is calling you, calling you right now. Just because He isn’t ringing you up on your smartphone doesn’t mean that He isn’t trying to reach you. His voice won’t come through in a human voice with human words… although… well, God might call one of your fellow humans to speak directly to you about what you need to become a fulfilled person. God’s ways are Mysterious, but not irrelevant, and not beyond your ability to faithfully understand and respond. November 4-10 of 2018 is National Vocation Awareness Week in the United States, which means that Catholics here are being asked to think, pray, and talk about vocations. Normally, when we hear the word “vocations” we think about the ordained priesthood, or even the consecrated religious life or permanent diaconate. These are truly venerable and worthy vocations that are much, MUCH needed in our world and, so, let us fervently pray for an increase in these vocations and help others (including ourselves) discern whether or not God is calling them to serve in these ways. But God isn’t just calling future priests and nuns. Each and every human being has a vocation, is being called to know, love, and serve God to the best of his or her abilities. The most important commandment given to us by our Maker is to love—to love Our Creator with all of our hearts, souls, minds, and strength and to love our neighbors as ourselves. Christ underlined this commandment, not because God said so (although that really should be reason enough), but because only by freely obeying this commandment can we become the people that God created us to be. Only through love of God, neighbor, and authentic love of self as God’s beloved children can we be truly satisfied, truly happy, experiencing the kind of joy that lasts forever. Perhaps, you are being called to be a Servant of Mystery as an ordained priest, a humble hero to a world in need of grace. Perhaps, you are being called to serve God by loving your fellow human beings through consecrated life in a Religious Order devoted to charity, education, or prayer, as a monk or nun, a religious brother or sister. Perhaps, you are being called to serve God’s Church in spreading and witnessing to the Gospel as a Deacon in the permanent diaconate. Or perhaps you are being called to serve God and God’s people, building up the Kingdom, by receiving the Sacrament of Holy Matrimony and being a faithful husband or wife and, perhaps, father or mother through biology or adoption. Marriage is a vocation too. Perhaps, like me, when you read a list of vocations like this, you feel a little left out. You’re not. God may be calling you to be a single professional, devoting your life to “sanctifying the temporal order” (making the world a holier place), working hard every day in the profession that best suits your abilities so that you may love and serve God and neighbor with supreme focus and dedication. God knows we need holy lawyers, nurses, doctors, legislators, construction workers, teachers, CEOs, social workers, clerks, and people who are willing to do strenuous labor, giving of their time and energy unselfishly. 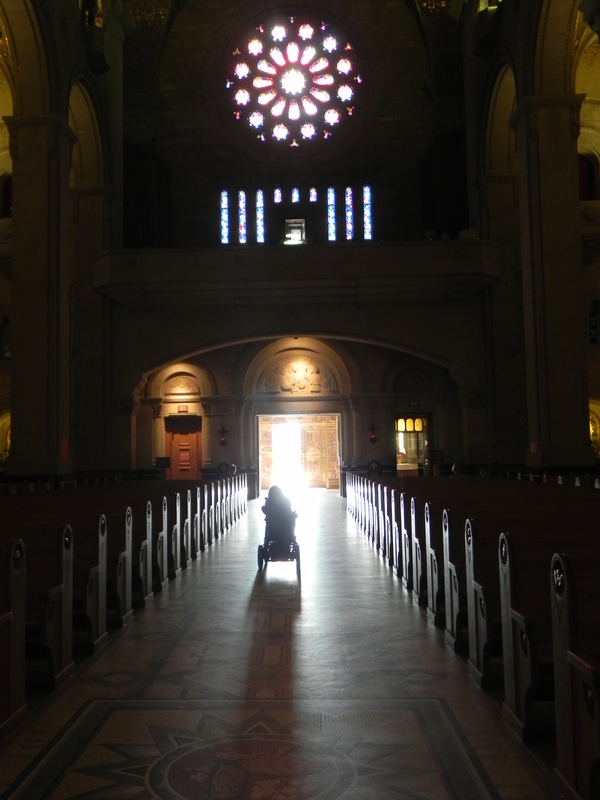 Perhaps, like me, you still feel like you’re not part of the Universal Call to Holiness because you are not employable due to severe disability or illness. But Universal means Universal. You and I are being called. Some speak of our particular vocation as “suffering servants” but this can sometimes make us feel like we are called to suffer. And who on God’s green earth wants to do that? Besides, every human being suffers in every vocation. Suffering is actually required of everybody in order to fulfill the call of unselfish, self-sacrificing love. God is calling the disabled and the chronically ill to transform the world one person at a time as artists, philosophers, good listeners, or prayer warriors. Or, in the most severe cases of ailment, to be lifelong examples of Christ on the Cross, so that others have a real-life reminder of the depths of suffering that God Himself was willing to endure to bring us His love and, thus reminded, can live their lives in gratitude for their abilities to soothe the distressed, heal the wounded, right wrongs, or comfort the lonely. I confess that I am not a very good pray-er, but I do pray that my life will be a good prayer, loving God, forgiving my weaknesses and those of others, lifting up people that I encounter by letting God’s love shine through me, and putting to good use the gifts that God gave me as a writer. “If we aim to return love for love…” — you put that beautifully! I will pray for you as you discern your vocation, Edward! May God bless you with wisdom, compassion, humility, and courage. Thank you and God bless you Christana!